According to Wikipedia.com the name is a direct translation of Spanish frijoles refritos, refritos meaning "well-fried", and not "fried again" as one might think from the use of re- in English. Though mis-named, "refried" beans are the perfect choice for vegetarian tacos, spicy burritos, warm party dip with "healthy" chips, or as a well-balanced meal with a salad, quinoa and sliced avocado. 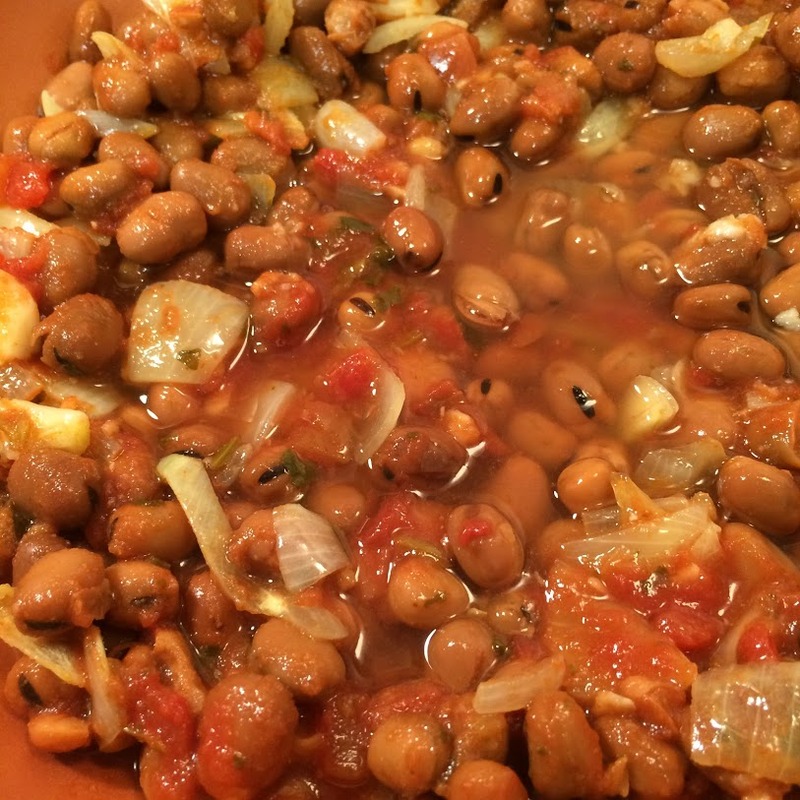 Pinto or black beans are the two most popular beans of choice, however, most any type will do. Texture and flavour is a matter of preference: smooth or chunky; with or without animal fat; spicy or mild. 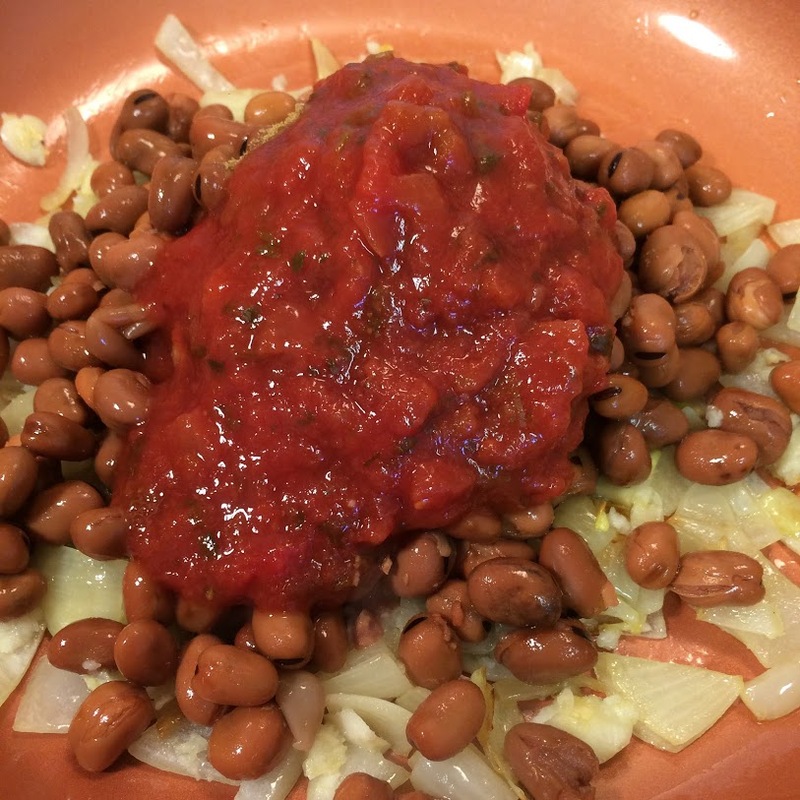 Just like baked beans, embarking on the task of making refried beans from scratch takes time, not to mention, the need for having all of the ingredients on hand. When I invited unexpected company to stay for dinner one evening, I made do with what I had in stock, and my vegetarian taco dinner got rave reviews! 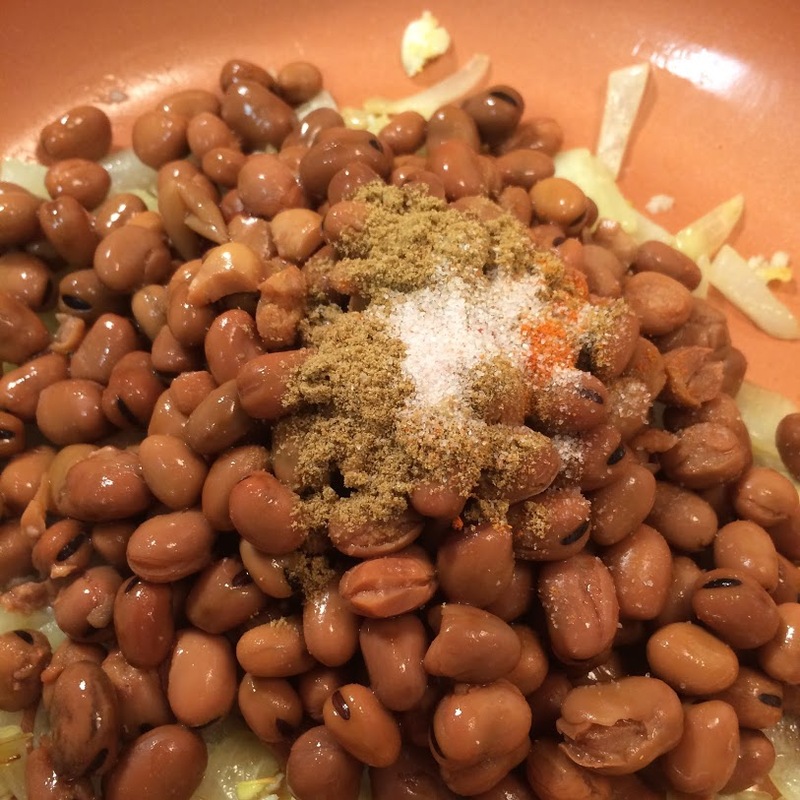 The leftover beans (if there are any), freeze very well. As always, I prefer to use organic or non-GMO ingredients. In a large skillet, heat oil or over medium heat. Add minced onion and cook, stirring occasionally, for about 7-10 minutes. At the half way point add garlic and continue to sauté. Stir in beans, cumin, salsa and salt, and cook for another 5 minutes. 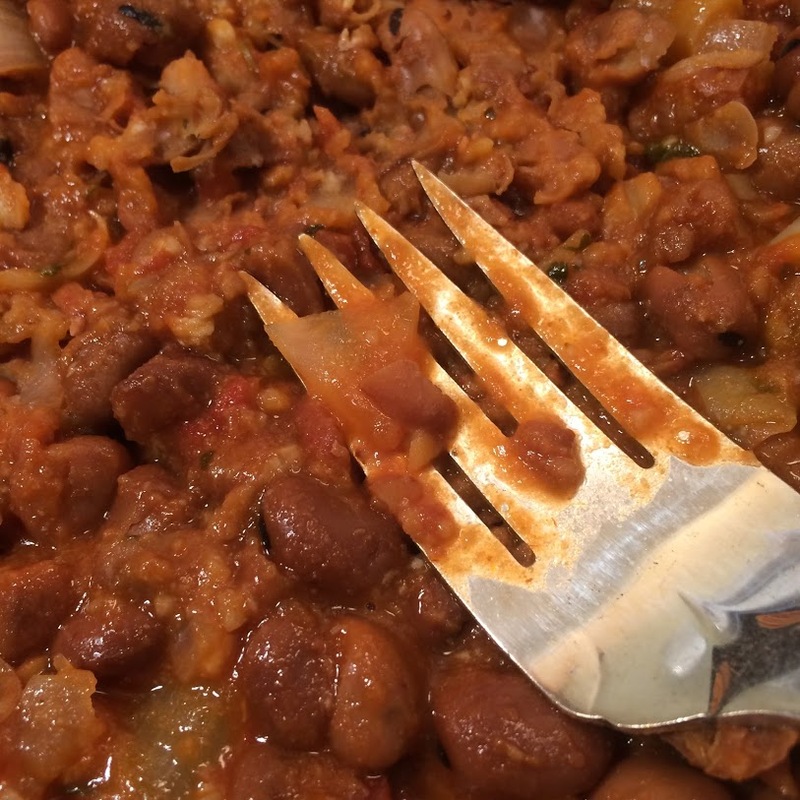 Using a potato masher or large fork, mash the beans to desired consistency. 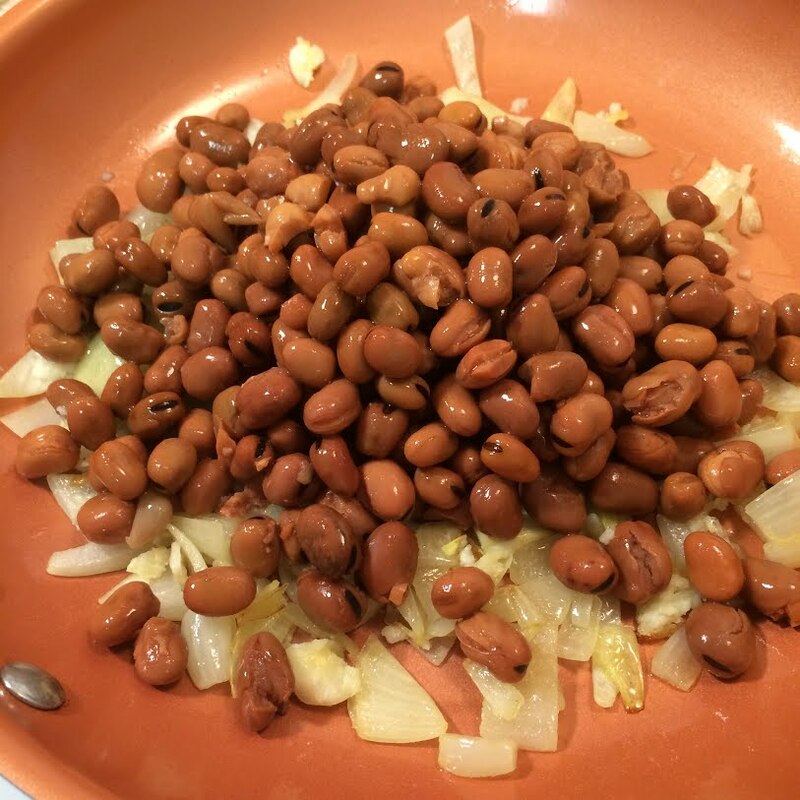 Reduce heat and continue cooking for another 10-15 minutes, adding reserved bean liquid (a little at a time) as necessary if bean mixture becomes too dry. If a smoother consistency is desired, cool beans and transfer to a blender or food processor and blend until desired consistency is reached. Add cayenne pepper or Chili powder and lemon juice. Adjust taste. Serve warm with fresh cilantro, raw onions and a drizzle of olive oil.